* 3. A member of the public collapses in the hospital corridor. * 4. ﻿True or false. You can notify switchboard of a medical emergency from the phone on the patient's bedside locker. * 6. Your patient is deteriorating and you have already called the Medical Emergency Team (MET) call. Before the MET arrives, your patient has a cardiac arrest. Do you have to call 55 and advise of a code blue? Yes. The Medical Emergency Team needs to know that the patient has deteriorated more, so that they can respond faster. No. Calling code blue (Medical emergency) is the same urgency as a cardiac arrest. * 7. True or false? Alter﻿ation of respiratory rate is normally the earliest sign of clinical deterioration. * 8. 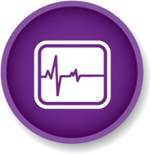 Hospital inpatients are monitored regularly by staff who observe and record vital signs. Which of the following would be a good reason to assess vital signs for a patient? * 9. Which of the following is NOT involved in the Escalation of Care process? * 10. You are the Shift Coordinator. At 8pm when visitors are leaving, you are approached by a worried family member who tells you that their relative is much worse this afternoon, and the plan that the medical team discussed on the ward round this morning is not working. What are some of the steps that you can take to assist and reassure them?